I am not much of a spontaneous person. I like to plan things out and have a road-map. That is why when I first read about creating a plan for my parenting journey, I was all over that! In The Parenting Breakthrough (affiliate link), Merrilee Boyack talks about this strange phenomenon that seems to happen with most parents. We fail to make a parenting plan. 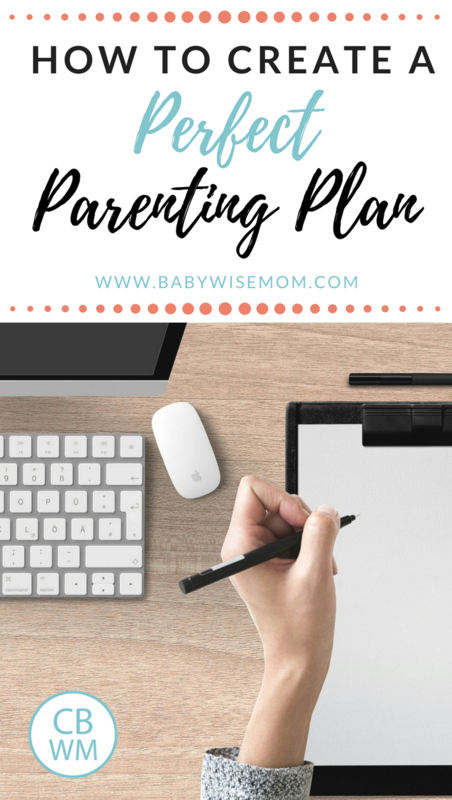 We plan for so much in life: education, careers, homes, cleaning, meals, weight loss…but many or most of us do not sit down and put the same planning and thought into the long-term goals we have for our children how we are going to raise our children to get there. I think most if not all of you readers are probably exceptions to this generality. We all at least have good short-term goals. We have goals of healthy sleep, learning to play independently, obedience, and moral values. Boyack really takes it a step further and makes it a long-term vision that is then broken down into smaller steps to achieve that goal–and she includes a lot on work ethic and becoming self-sufficient. About two years ago, I started describing this process. You start with making a simple list of goals you have for your children. Here is my list of lifetime goals. Now, let’s discuss the steps to creating your own plan. Boyack suggests you think back to when you moved out of the house. What could you do? What could you not do? I knew some people in college who left home not knowing how to cook, clean, do laundry, manage money, check the oil in the car, etc. You know, my opinion is it is our job as parents to teach our children how to do these things. Not easy. It means you have to let your young kids help around the house and later require the older children to help. Both can be difficult. I think we all agree these are things children need to know how to do if they are expected to leave the home and take care of themselves. If we don’t teach them, as Boyack points out, “Who” do we expect to teach our children, and “When” do we expect them to learn? I have always let my kids “help” me, and let me assure you, the day does come when “help” turns to help and then to help! Help! with glee! Brayden (7) and Kaitlyn (5) are both at least a help. Brayden is often help with glee! Real, true help to me. Let me give you three great examples from just the last two days. Yesterday we were at the store looking at the cleaners. Brayden says, “Oh mom, we need some more floor cleaner for the bathrooms. It is almost all gone.” A mom at the other end of the aisle walks down the aisle for no reason other than to say, “Wow, they are cute. Do they actually help clean the floors, too?” This mom, by my judgement, was about 5-10 years older than I am. I replied, “Yes. We actually just cleaned bathrooms this morning so that is why he knows the status of the cleaner.” She said, “That is impressive! I wish I could get my boys to clean!” I smiled, but of course thought it was a strange wish. It isn’t like my kids clean because of any reason other than I let them “help” and now make sure they help. Although they do get such satisfaction for helping that they often take initiative themselves. This also happened yesterday. We got home from the store and brought in the groceries. McKenna was late for her nap, so I took her to her room and put her down. When I got back to the kitchen, Brayden and Kaitlyn had put away all of the groceries without me having ever asked or hinted for them to do so. They just did it. This morning, Brayden and Kaitlyn swept the entire kitchen and great room without me asking or hinting. Brayden, yes, seems to love to clean and always has. He may be an easy case to produce such results. Kaitlyn, however, has always hated to clean. Even as short as six months ago, she would often sneakily disappear when it was cleaning time and hide somewhere with a book or two. She even did this at preschool. I really put my focus into getting her to find some enjoyment in cleaning and helping and she has really come around and is a real help now, so it can be done even with those that hate it. 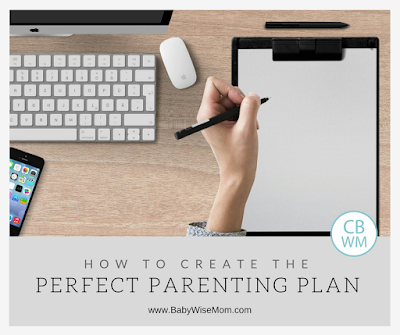 So, in thinking through the end in mind, you make a list as described in this post: You start with making a simple list of goals you have for your children. Once you know your overall end goals based on your list of goals, you make a list of “every task [you can] think of that your children need to be able to do to get to the end goal of independence” (page 26). Don’t forget spiritual goals, academic goals, physical goals, chore goals…there are a lot of categories. You have your list, now you need to know when to focus on each task. I started a list here. What I do is around my child’s birthday, I look at my list and see the things he/she should be able to do now. So when the child turns 3, I look at my goals for age 2 and make sure she met those. If not, we make sure to work on them. Then I look through the goals for age 3 and break down sub-goals to reach those. Boyack points out that you should “Keep in mind that every child is different. Some learn things faster and are more motivated” (page 27). So you want to make a plan, but keep it flexible not only in general but also specifically from child to child. All of your children will not necessarily be able to do the same things at the same ages. Also, it is nice to get ideas from others, but realize you will vary on things. One example is pulling weeds. Boyack lists that for a 7 year old. I start having my kids pull weeds at age three. By age 7, I more than expect that I could send the child out to any given area and things could be weeded well and without supervision–and maybe that is what she meant by age 7 because I stay right by the 3 year old for sure. I don’t want my corn getting pulled out in the name of weeding :). There are lots of things to think through. What age do you think make-up use is appropriate? What age do you think a child can start babysitting? Things like those topics are helpful to have in mind years in advance–not only for informing the child (because they will ask years in advance) but also to do the little things to train to be ready to start using/doing those things at appropriate ages. The next time we discuss this, we will go through the steps in implementing your plan. For now, just make your plan. That should be enough to get you through the next few months before we visit this topic again. This is exactly what has been on my heart recently. Where are we going and how do we get there with reguard to our children. Thank You!